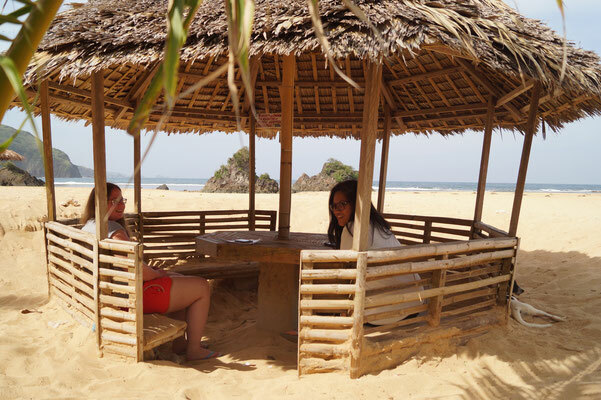 Puraran Surf Camp is situated on Puraran beach featuring two home surf spots - one for beginners and the other for experienced surfers. 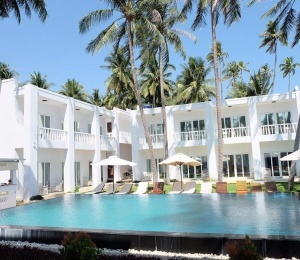 This surf house is the best place to surf and stay in Puraran, right on the beach with awesome view to the Pacific Ocean. 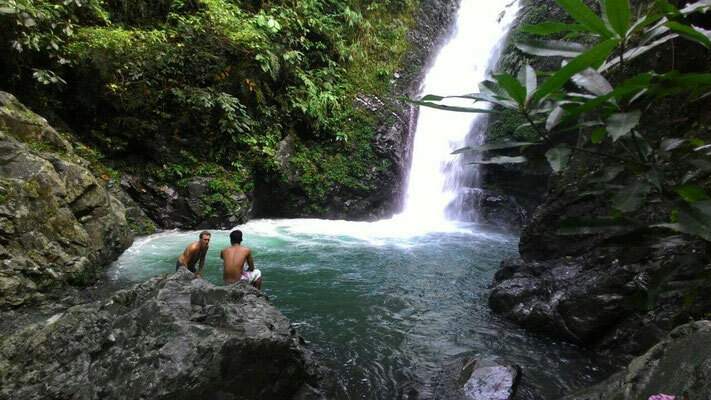 Many times selected the first choice by surfers on their surf trip to Catanduanes island, Philippines. Don't forget to bring your own surf shoes, rashguard, shorts and sunscreen! 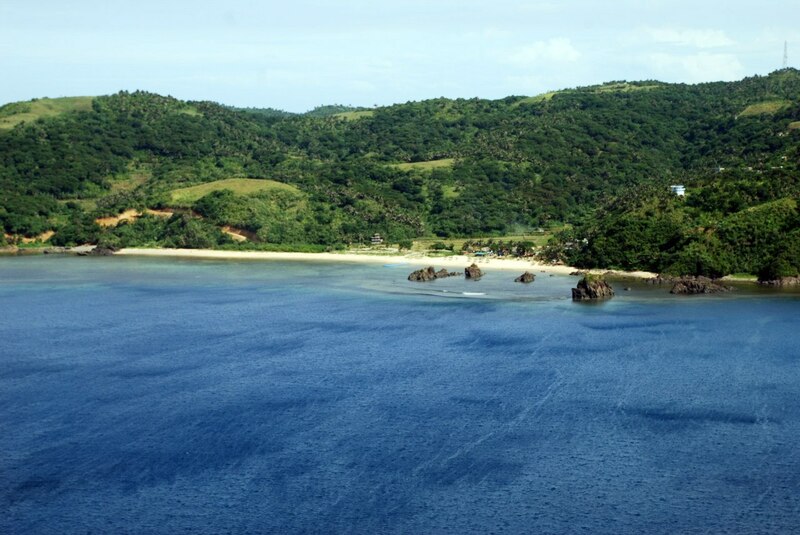 Puraran beach is a world renowned surfing site located in the town of Baras in Catanduanes island. Facing the Pacific ocean, it is home of the so called "majestic waves". 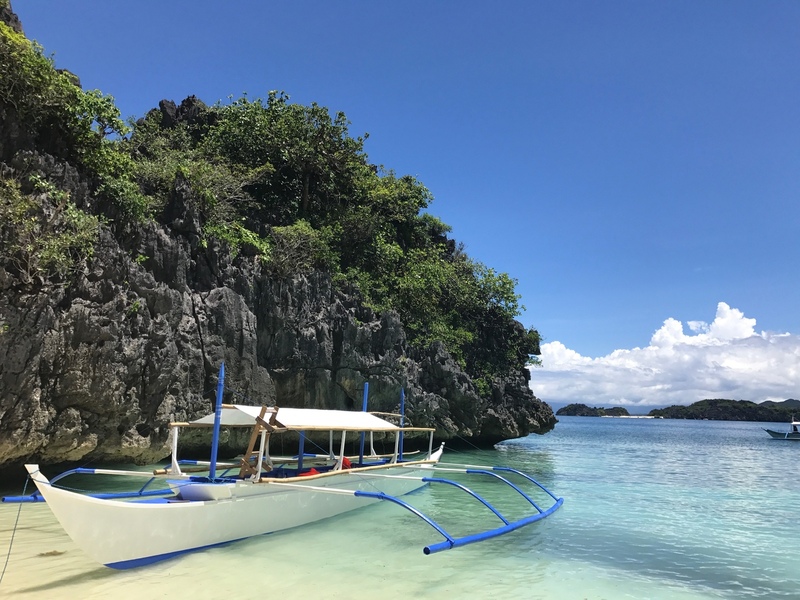 Aside from surfing, the island offers best scenic view from the mountains, other golden and white beaches with soft and powdery sand, pristine waterfalls, vast agricultural lands, old spanish-era churches and a lot of seafood. 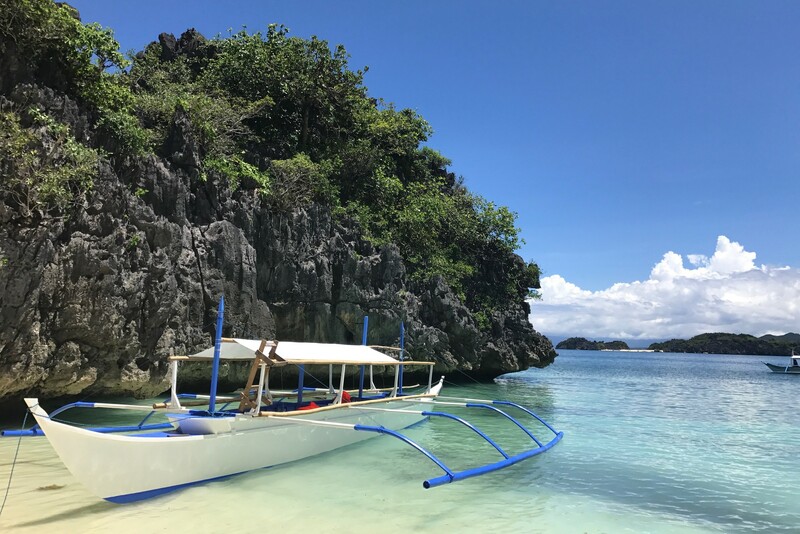 Catanduanes island is like heaven on earth with its idyllic beaches, verdant hills, amazing underwater scene and gorgeous sunrises. Add to that, its people who will make you instantly feel at home. It is called the "happy island". This is a perfect place to escape and live an island life. 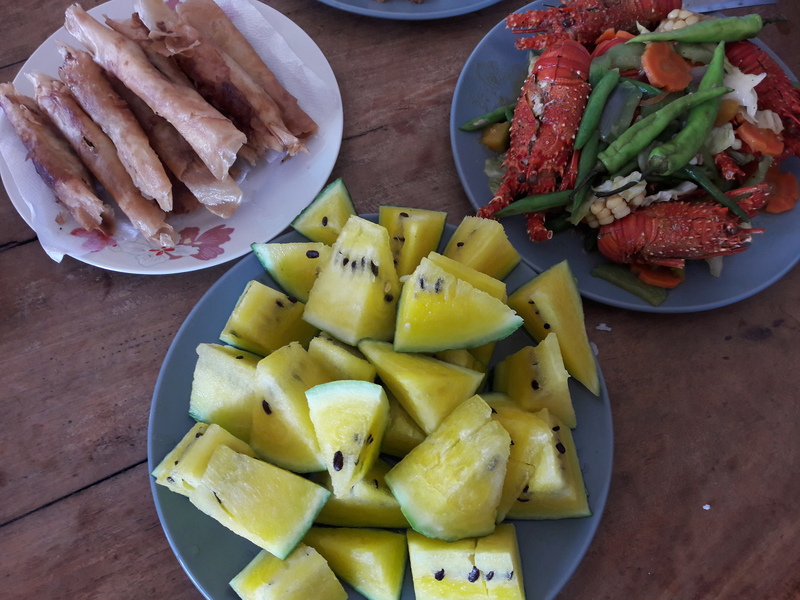 Less crowded, wide beach area, great shore-winds and food cooked with love. 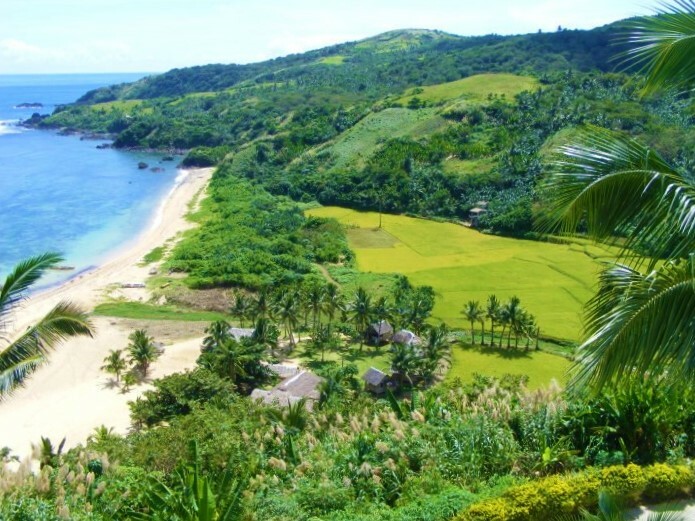 The island of Catanduanes is the first landmass in the Philippines to kiss the Pacific ocean, thus some of its beaches offer an amazing consistency producing perfect waves and Puraran beach is the best of the best.....the region's surfing mecca. 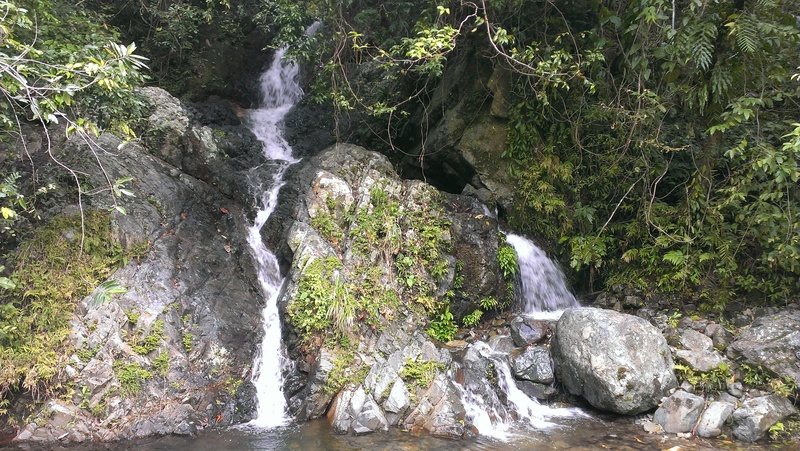 The airport is situated in Virac, the capital town, 35 kms from Puraran. 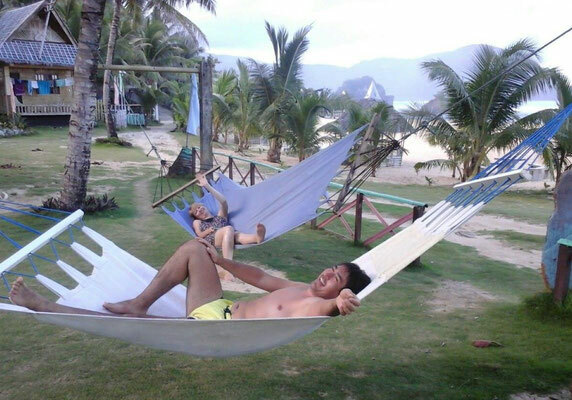 The Surf camp is right on the beach with amazing sea view. 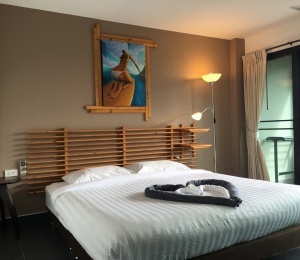 You will stay 15m from the beach in nice authentic cottages or rooms to choose from Single, Twin or Double. 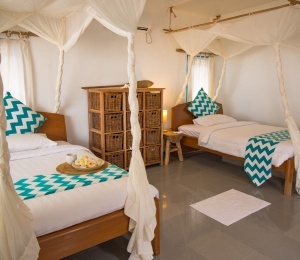 All rooms and cottages have their own bathroom. Most of the daily life happens outside on the beach or in the garden. There are plenty places to relax or play some outdoor sports in the big lawn that extends from the bedroom door to the beach. 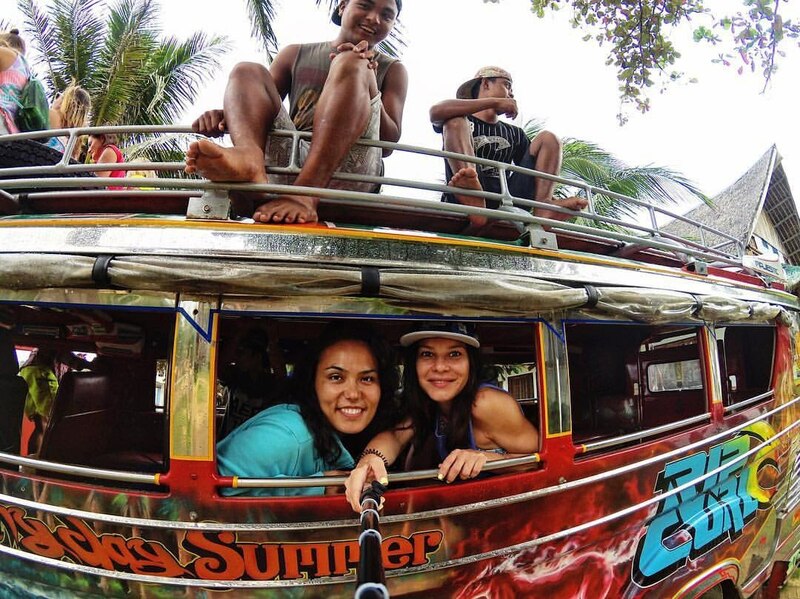 When you're not surfing, you're welcome to join our island tours included in the package. 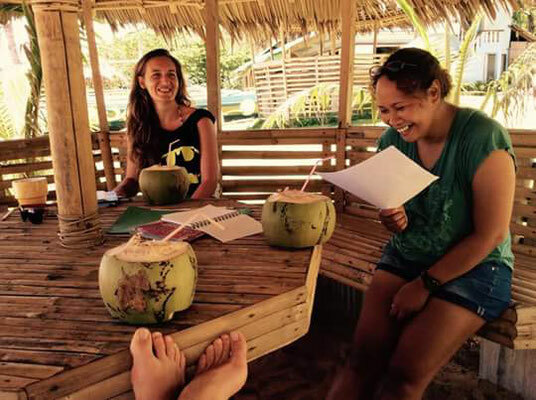 Besides Surfing we also provide English lessons with English speaking teachers. 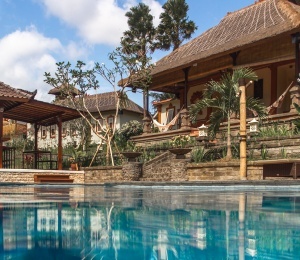 Puraran is a top-drawer surf destination comparable to the better areas around the world. 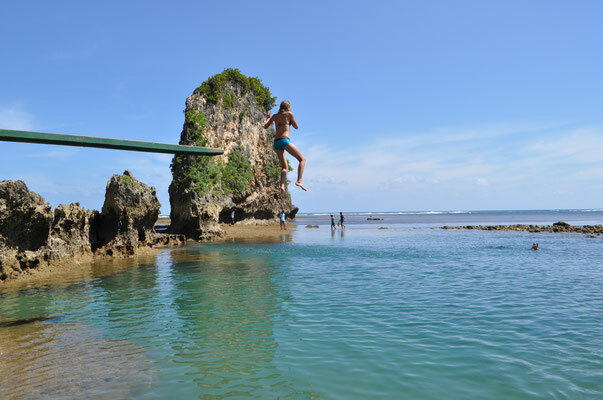 With its stunning landscape of cream and golden sand, clean and clear waters, marvellous rock formations and the glorious majestic waves that offers 1m to 2m of perfect barrels during peak season. This place is the haven for surfers. Top surfers from all over the world visit Puraran Surf Camp during the peak season from July to November when the famous Majestic waves come to shore. 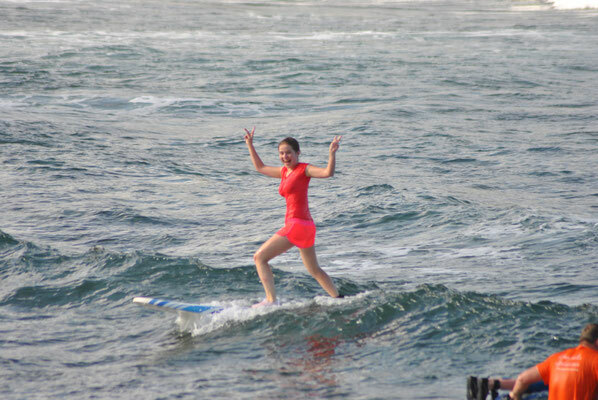 For beginner to intermediate surfers, February to June is the best time to come and experience the waves. Surf lessons take place inside the reef in a more protected area with smaller and mellow waves. 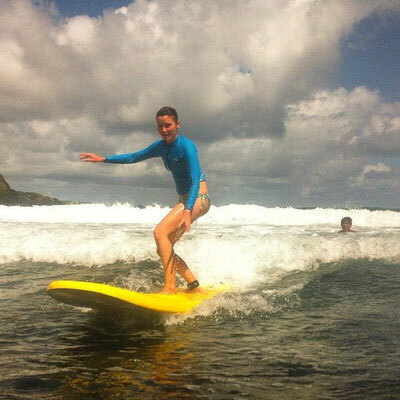 Our surf instructors are local surfers with impressive knowledge of the local surf spots. 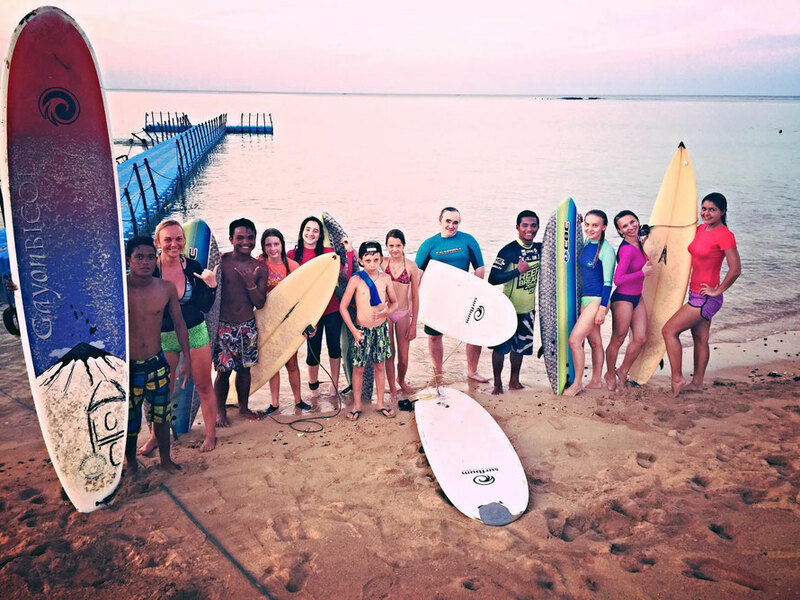 All equipment and surf lessons are included in the package. SURFINN © 24-04-2019 04:21:31. ALL RIGHTS RESERVED.